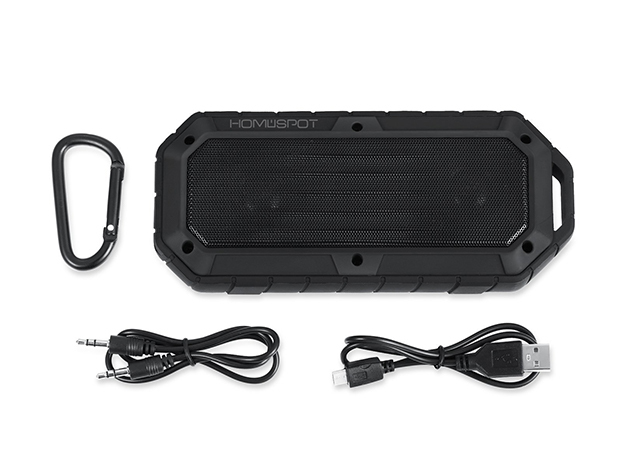 Check out the HomeSpot Rugged Waterproof Bluetooth Speaker, a rugged, weather-proof speaker. It deflects dust, dirt, and water, and it’s coated with a rubberized surface. It will pair to your iPhone, iPad, Mac, or Android device with Bluetooth, and it also supports NFC pairing. You can get this device for $29.99 through our deal.